babylonian @ 11:15 am: Playing Super Monkey Ball for 20 minutes makes for better surgeons. "The Nintendo Revolution presents a totally unique avenue for our developers to explore the art of game design," said SEGA VP of marketing Scott A. Steinberg. "Super Monkey Ball: Banana Blitz will present a mind-boggling array of gameplay innovations that will excite and challenge gamerswhile pushing the boundaries of imagination forward." Aiai and all his pals have signed on for the sequel, and for the first time in a Monkey Ball game the primates can jump when the player flicks the controller upwards. This should add another dimension to the single-player puzzle levels, as well as open up a world of possibilities for the ever popular mini-games. Ring toss and "Whack-a-mole" scenarios are just two of the new party games SEGA has planned. 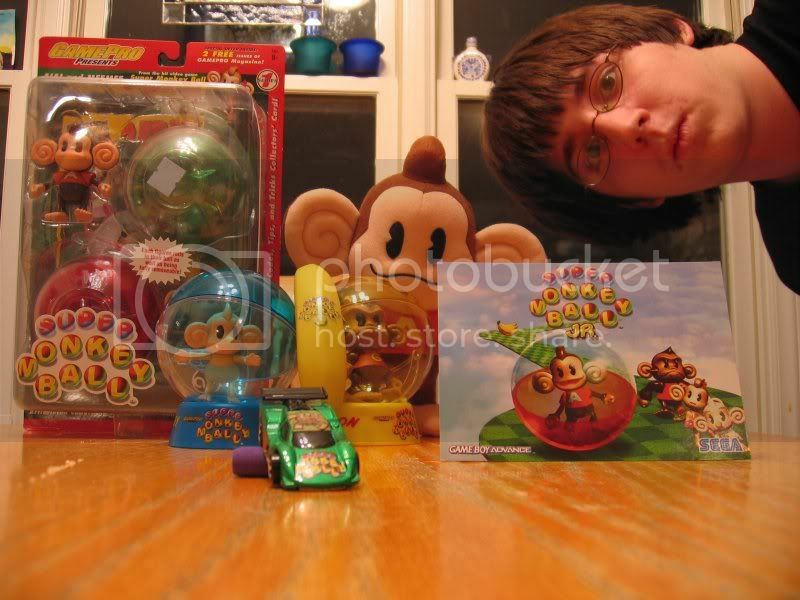 Monkey Ball was the one of the first franchise that came to mind for me when the Revolution's controller was announced. No word yet on whether or not Amusement Vision's developing, but I doubt they'd miss this chance to match their best franchise with the ideal controller. EDIT: Here's an interview with Sega employee Toshihiro Nagoshi on how the game will play on Revolution. babylonian @ 09:05 pm: So I picked up Super Monkey Ball: Touch and Roll today. I've only had it a few hours, but despite a few minor problems, I'm pretty happy with it. I hope I was useful in deciding whether or not the game's worth your time. Again, I've only had a few hours with it, and the main game is pure, raw, unadulterated Super Monkey Ball fun. It's at least justified itself as a rental so far. I'm a little dissapointed that Amusement Vision is not working on it, but perhaps it's because they are working on SMB3. babylonian @ 10:38 pm: Holy freaking crap. I just bought a DS a couple weeks ago, partially in anticipation of this game. This mode can be played either by the D-pad, which doesn't offer much in the way of analog control, or the touch screen, which does. Players can use the stylus to push the Monkey Ball in any direction -- the center of the screen is the neutral position, and by sliding the stylus up, down, left, and right, you'll move the Monkey Ball in that direction with as much variance as you're shoving the stylus. This touch screen control works surprisingly well, believe it or not. Maybe even better than the analog stick on the GameCube. But we won't go THAT far. Criggity Christ, this is gonna rock. SRSly, guys, I think I could cry. babylonian @ 01:32 pm: Hey, if you guys are into Super Monkey Ball as much as I am, you've probably grown to like the soundtrack. Hopefully, then, you'll enjoy this: the complete soundtracks of Super Monkey Ball 1 and Super Monkey Ball 2.. Enjoy! 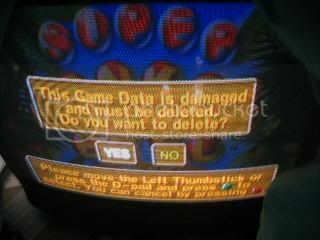 babylonian @ 07:18 am: I win at Super Monkey Ball. I got another Dualshock 2 (the one for PS 2) and it's working. My old gray one that i got with the PS 1 works with every other game. It works with Katamari Damacy and other new games.